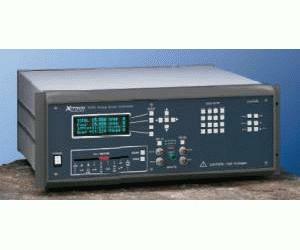 Using the most advanced digital signal processing technology, the Xitron 6000 family delivers true accuracy and versatility at the touch of a button. Phase Angle Voltmeters provide direct readouts of phase insensitive, phase sensitive and harmonic data. Automatically calculates and displays results. Self-calibration and testing capability ensures the most accurate results possible. The newest member of the Xitron PAV family, the 6250 comes pre-configured for most LVDT/RVDT tests, and is ready to go – right out of the box. The instrument requires less set-up and maintenance than competing products. And, because of its simplicity of operation, the 6250 can be used by virtually anyone who wants access to results more quickly and more reliably.